A favorite show of mine while growing up was the documentary series “The Undersea World of Jacques Cousteau” begun before I was born and hosted by Rod Serling. Sad to say, it didn’t lead to a career in marine biology because I let asthma hold me back. That aside, I’d like to share a quote from the French naval officer, explorer, conservationist, innovator, scientist, and more (you can read the Wikipedia article here). 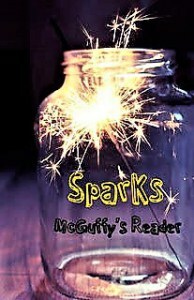 And many thanks to Annie of McGuffy’s Reader for starting Positive Sparks. May you find wonder in every day. Oh, this is one of my favourite humans. Excellent! And, yes, there is much truth in this. Cousteau made such an important impact with his teachings. Aye, Calypso, I sing to your spirit! Thank you for your Sparks, Darla. Cousteau rocks, and so do you. Hugs! Thanks for starting this! Hugs back, my dear. I do find wonder everyday because I look for the wonder. Many are so busy this passes them by. Lovely quote. Good for you! I try to do the same. And I hope you have a lovely day, too. Fabulous quote and a great perspective on life - look for the wonder. Amen. Thank you for stopping by! That is a great spark. I had never seen that quote before. I dug for it. ~grin~ Thanks for the kind word! I never got a chance to see his show. But I heard good things about it. I loved it. ~grin~ Be well! I LOVED Jacques Cousteau's TV show! And that quote is one of my favorites! Thanks for bringing back some fabulous memories! Aw, you're welcome! Happy Sparks Monday! A great, albeit frustrating quote. The implication is just that: man's ability to think, to manipulate and consider the world around us, is our equally our most incredible, uplifting quality while also our most self-destructive. So true, Robert. He had a dim view of mankind's ability to rise above our potential for destruction. Be well! I loved that show growing up. I did try to go into marine biology as a result, but didn't in the end. I did take up scuba diving, very young, as a result of Jacques Cousteau's show and also Sea Hunt. Oh, wow. That's so cool, my dear. You're way more adventurous than me, though my partner took up scuba diving for a time.